What's the first thing that strikes your mind when you plan to enhance your customer experience? Gain their attention by giving them the best and unique services? Giving them the most comfortable and friendly environment? And what else? Being into the food industry, we all are well aware by now that customers demand easy, fast, and quality services. Isn't it? As per a survey made by Harvard Business School, it was recorded that improving customer retention rates by 5% can let your profits rise by 25-95%. Many of the restaurant owners did take the benefit by introducing POS systems into their business. But still, there seems a need to upgrade customer experience in a more better way. So, it's high time that we get to know a more enhanced version of the food industry to take our business to the whole new level. Along the way, there arises a need to make the customer experience more enhanced by streamlining the ordering and processing operations. And the one-stop solution to manage all this is mPOS system. mPOS system(Mobile Point of Sale) is a platform where your staff gets the freedom to manage transactions, transcribe orders, and even monitor tickets via a digital tablet. The touchscreen comes along with a card swiper which can carry out all transactions via the tablet. This directly makes the food ordering process error-free, quick, and accurate enough. 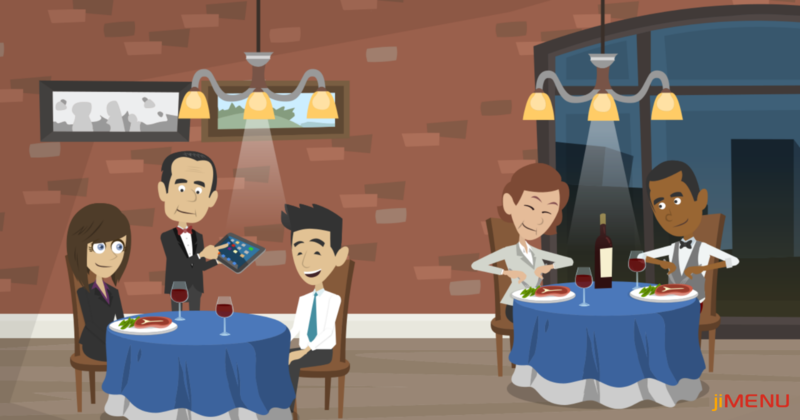 Here are the best benefits a mPOS system can offer to your restaurant and enhance the customer experience. More Convenience: mPOS systems can streamline the dining experience of your customers in a more convenient way. A single click on the tablet will check if the orders are taken accurately, removing the errors and mistakes made while taking orders manually. Fast Payments: With mPOS system, customers can make their payments right at their tables. This will eliminate the usual hassle created while presenting the bill to the customers, managing queues while customers make the payments and a lot more. mPOS payments will save your huge time with no staff engagement. More Secure: Unlike the usual payment method where the user card details are saved, mPOS system doesn't saves the customer data and maintains security standards as per the PCI DSS. Moreover, the payments carried out are made safer by implementing SSL encryption techniques and attain customer reliability. Customer Satisfaction: Decreased wait times, fewer delays, fast services, easy orders, and secure payments will directly attract the customers to stay with your services for a longer period and rely on you. As the customers get satisfied with your services, they'll turn into permanent customers. More Profits: With more efficient operations carried out under the mPOS system, the services will fasten up while improving the dining experience of your customers. This attracts your customers and lets you gain huge customer attention to receive more sales. Getting started with mPOS system! Implementing the mPOS system in your restaurant will not only enhance the customer experience, rather it will assist you in taking your food business to a whole new level. So, it's high time that you look up for a suitable vendor and get the best benefits out of the mPOS system. Still have queries? Get in touch with us at any time and get assistance from our experts!